Happy Wednesday! 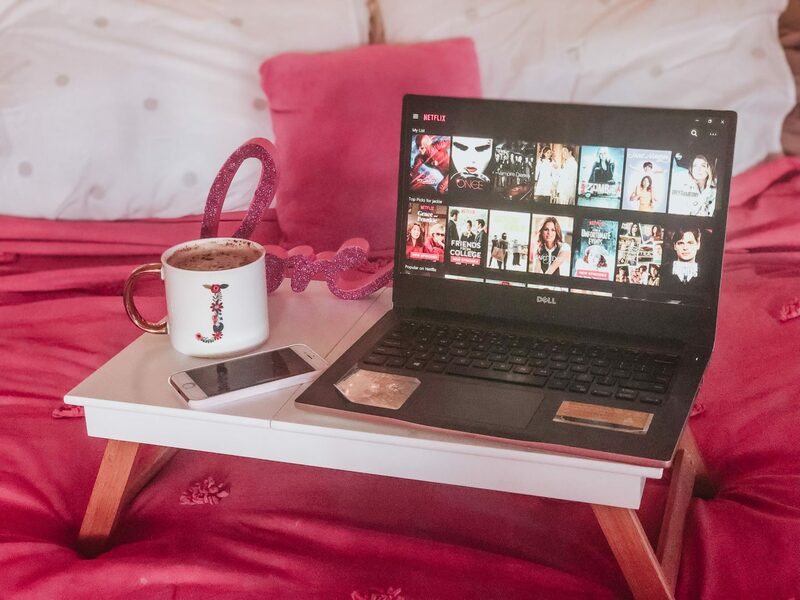 Today I’m sharing what to watch right now on Netflix and the current shows I’ve been obsessed with. Ever since I bought my TV on Black Friday, I have started and finished so many shows on Netflix that I had to share. Before I was watching on my iPad or laptop and then I went and bought a TV and to be honest I missed having a big screen to watch my shows on. 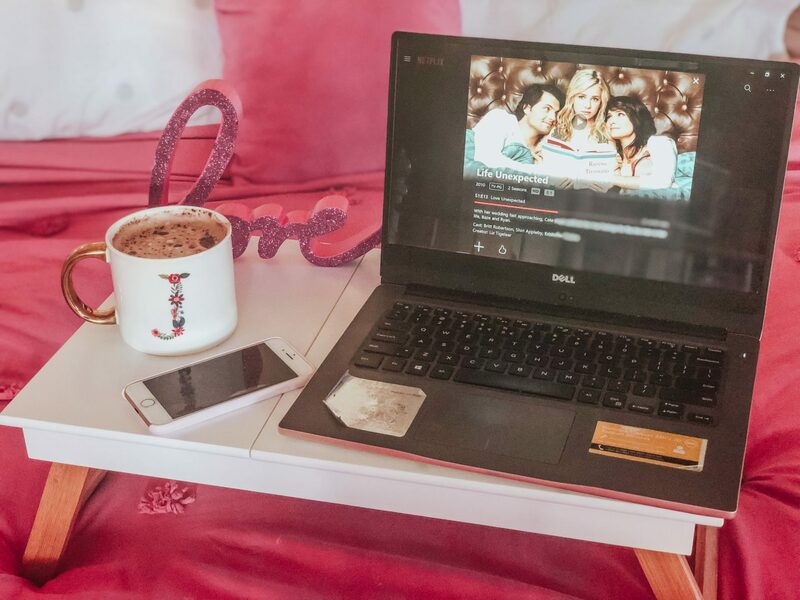 I am a big fan of TV shows and love just starting a series and binge watching the whole thing. I get invested and watch the whole thing and then I get sad when it’s over with. I’ve done a few of these before like here and here sharing what I’m currently watching and since it has been a while and I haven’t done an updated one I thought today I should. I know there are so many popular shows right now and you are probably tired of hearing about those so mine are not as talked about so don’t worry about that being repetitive. 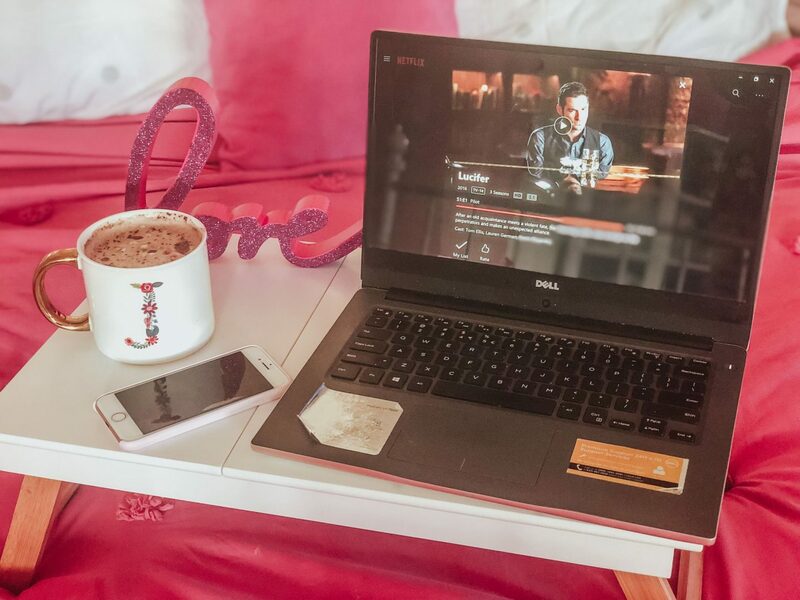 Now enough about my rambling so here’s what to watch right now on Netflix! The first show I started was back at the first of October before I even got my TV. I actually accidentally started watching this. I left my iPad on my bed and had Netflix on it’s homepage. 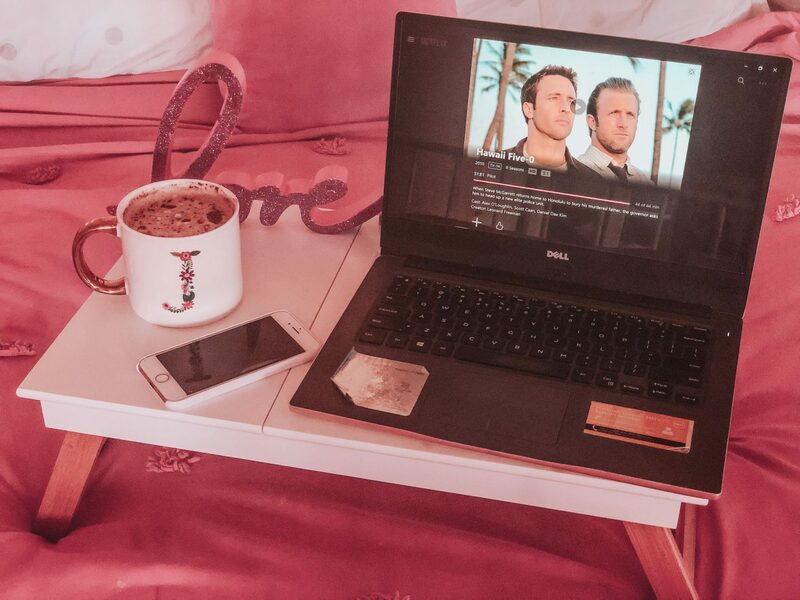 I got up to go to the kitchen to get a snack and when I came back it was playing the first episode of Hawaii 5-0. Now that is a little scary as it started playing by itself but sometimes my iPad is sensitive and if you slightly touch the screen it will do something so I think it was just because I didn’t properly prop it up when I got off my bed. I was going to turn it off but I got intrigued by the pretty scenery of Hawaii so I kept going. I kept going until I finished the whole series in maybe 2 weeks. I spent all my time watching it and I quite liked it. My dad and I used to be into shows like this and he said he used to watch it, he actually got me into NCIS when it first aired and we used to watch it together. I watch them by myself and love those police crime and solving cases show so this was perfect. I actually really enjoyed this and the characters and the beautiful shots of Hawaii make me want to visit. It’s definitely a good show and if you like crime solving shows then this is a great one to watch. I have kept up with it and now I’m watching it on TV when it airs every Friday. After I finished Hawaii 5-0, I had to fill the void with a new show. It was recommended to me on the home page and it looked familiar. It sounded interesting as it’s about a ghost, vampire and werewolf that live together. I was intrigued and started to watch it as it was October and I wanted a spooky show. When I first started watching the show it felt familiar and I think I started watching the first wpisode on TV back when it first came out but I guess forgot and never watched it after. Well that changed and watched every episode and loved it. Also the ghost girl actually plays in Hawaii 5-0 as well and it was weird seeing her be a ghost here and a cop on H-50. It’s a fun show and love the supernatural kind of shows with those kind of characters. Next is one I watched right before Halloween so it was very fitting. I started this right after Being Human and watched this whole series in an evening. I loved Sabrina the Teenage Witch growing up and I still remember watching it on TV after school or on the weekends. I know there was the classic one and the animated one and I loved both. I actually enjoyed this and I like that it’s darker then the original. It’s a cool show and I actually just watched the holiday episode that came out and really thought it was entertaining. I can’t wait to watch more and see where the story goes. This was such a cute show to watch. It reminds me of Gilmore Girls a lot with the whole small town vibe and the characters. 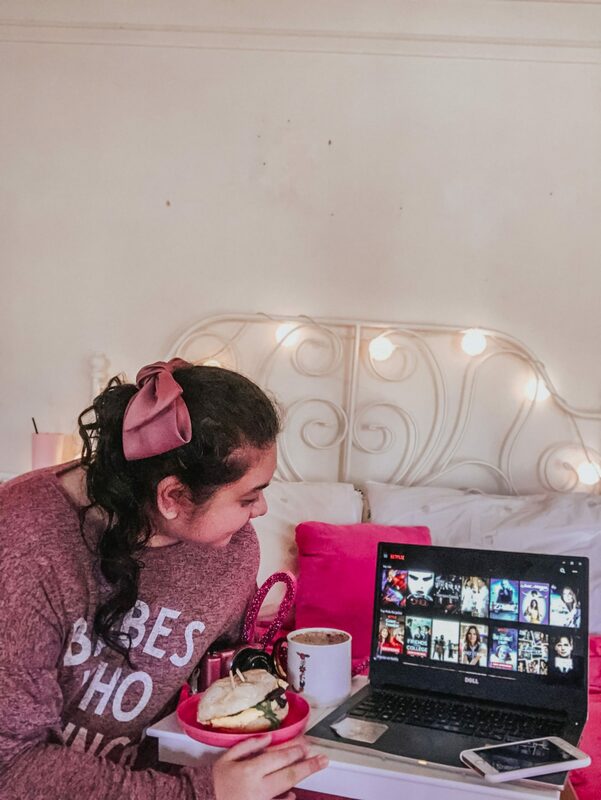 It’s a magical show and just a feel good program to watch in the evenings when you want to snuggle in bed and feel all warm and cozy. If you didn’t know this about me, I love medical drama shows. 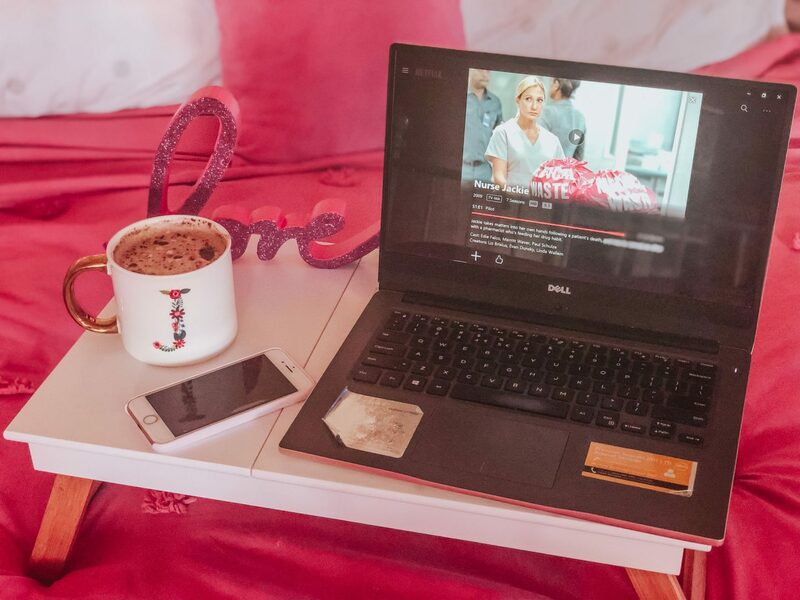 Ever since I binge watched Grey’s Anatomy a few years ago I have watched almost all medical dramas from past to present. The last I hadn’t saw was Nurse Jackie which I feel is a show I should watch as it’s named after me. The first few episodes I got confused and turned every time I heard my name but got used to it after a season or two. It’s a bit different but I did enjoy the show. Now I think I may have watched all medical drama shows that have aired. I did my research and it looks like it but if I hadn’t then there might be one or more I missed. I started this the first of the year. I wasn’t over the whole supernatural thing so I started this. I watched this when it first came out on TV and watched the whole first season but I somehow forgot about it. I then downloaded it on my iPad for the plane ride to NYC but didn’t watch it as there was in flight entertainment. I saw a preview of the new Legacies which is a continuation of this and TVD and I accidentally saw spoilers of what happens but I watched it anyways and finished it in about 5 days or maybe a week. I go through TV shows really fast. It made me miss The Vampire Diaries and I really liked following along with this. I have a soft spot for Klaus and honestly he was my favorite character. 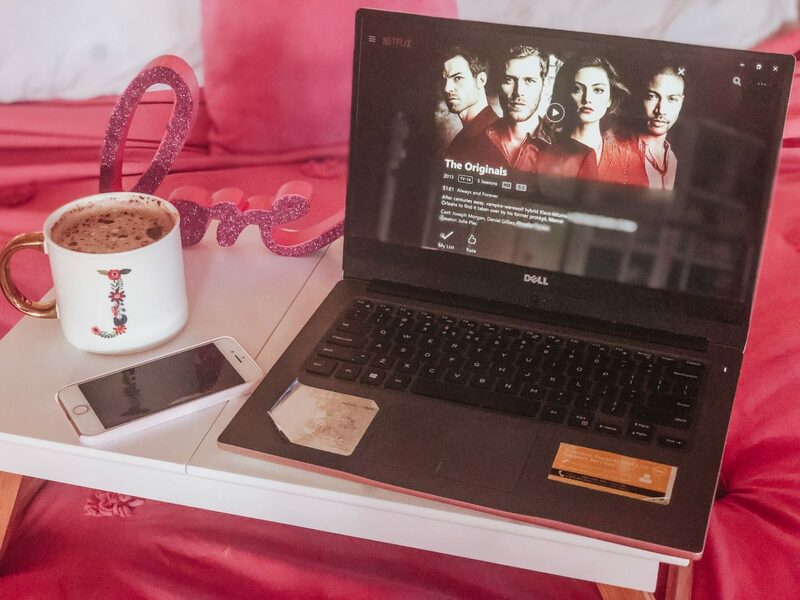 I’m going keep up with the new series after I enjoyed watching The Originals. This is the latest series I finished on Netflix. It was again a recommendation after all the crime and supernatural shows I’ve been watching. It actually quite fit with what I have been binge watching. I think I finished it in about 5 days. I love the kind of supernatural aspect and then the crime solving. Another thing I love is it takes place in LA and the overview shots are places I’ve been to or seen in person and I think it’s so cool. I enjoyed it and was sad to see it was canceled but picked up again by Netflix so I can’t wait to watch it when it comes out. The last show I watched which took me 2 days to get through was this. I think it was recommended to me since I watched the new 4 episode Gilmore Girl series at the end of December again. It’s similar to Being Human as I watched the first episode on TV and never watched it again. It’s a very feel good comedy and drama sitcom and love that especially after all the supernatural and crime shows I’ve been watching. It’s cute if you want a short series to get through the day. 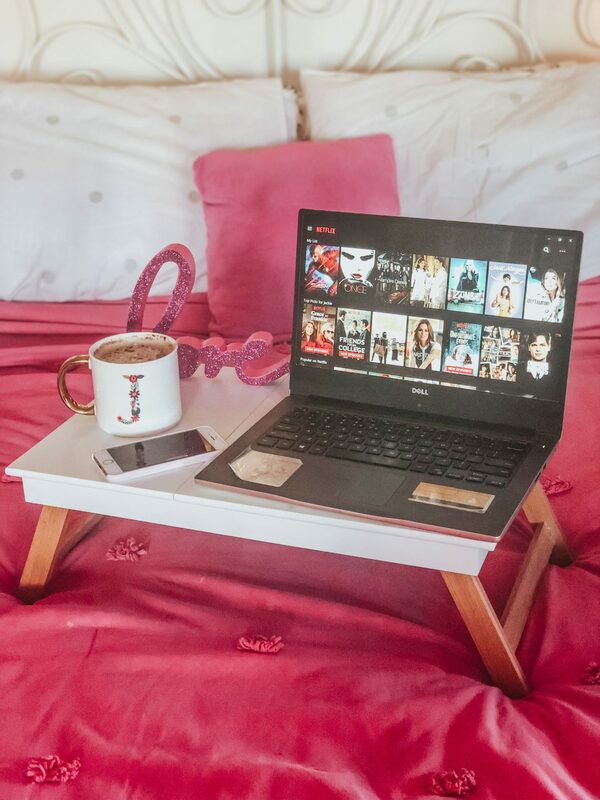 That is what to watch right now on Netflix! I guess I can share my current show which I am watching on my TV right now as I type this. I just started Supernatural because I’ve been all about this genre to watch right now. I mean it was fitting back in October and November but I seem to enjoy this type right now. 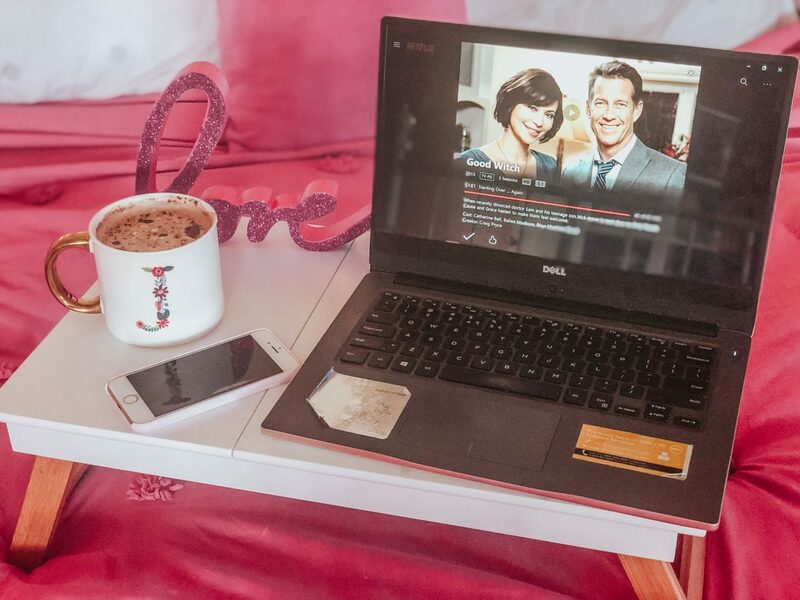 I love sharing my TV show favorites and what I’m watching because I love talking about it in real life and usually have no one to share it with so that’s what these blog posts are for. 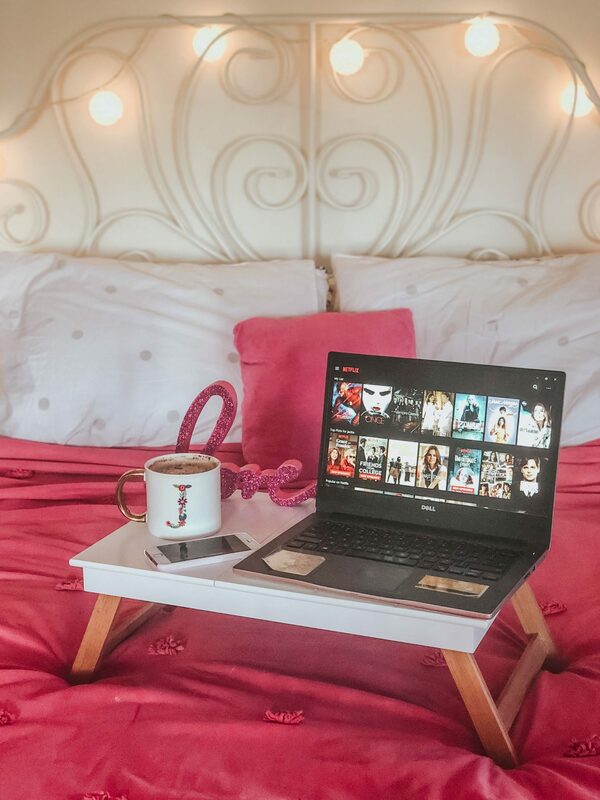 So that is it for what to watch right now on Netflix but let me know what you are watching and what to recommend for me to watch next. I know I need to get through the popular ones like You which is next on my list to watch but if there is any other or maybe like this then let me know in the comments. Thanks Izza and I so agree I think it deserved more and it was so nice! I am OBSESSED with Sabrina. It is SO good! I also just binged Good Witch – great one there too. Thanks Krystal! It is so good and both are just amazing to binge watch! Thanks and it was great to watch and I might need to check that out! I love writing stories, taking pictures and styling girly outfits. You'll always see a bow in my hair or twirling in a tulle skirt on here.